Fresh shell beans are among the unsung joys of the late summer markets, and they deserve a spot at the table. Here are eight ways to take advantage of their all-too-short season. 2. Chili. Use the fresh beans in a summery version of chili. 3. Soup. 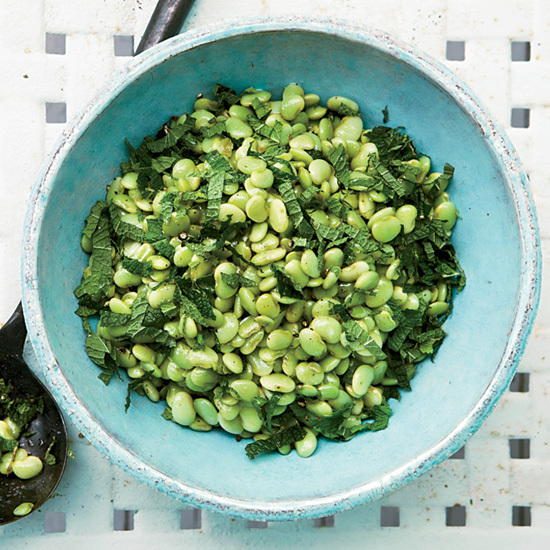 Make any vegetable soup heartier by adding shell beans. 4. Gratins. Add them to a buttery gravy, cover them with crispy bread crumbs and bake until bubbling. 5. Salad. Dress the beans in a vinaigrette, add lots of herbs and season them well for delicious room-temperature salads. 6. Succotash. Make this late-summer Southern side dish with corn, okra, tomatoes and bacon, adding shell beans in place of peas. 7. Stuffed Vegetables. For a hearty vegetarian main course, fill tomatoes or peppers with a stewy bean mixture. 8. Puree. Blend the cooked beans with garlic, olive oil and lemon juice to make an easy dip or spread. Add tahini and call it hummus.